Davao is blessed with picturesque landscapes, pristine white and gray sand beaches, fruit plantations, abundant natural resources, wildlife sanctuary and diverse culture. So whether you are looking for an adrenaline pumping adventure, beach bumming and nature or food tripping, Davao has all got it for you. 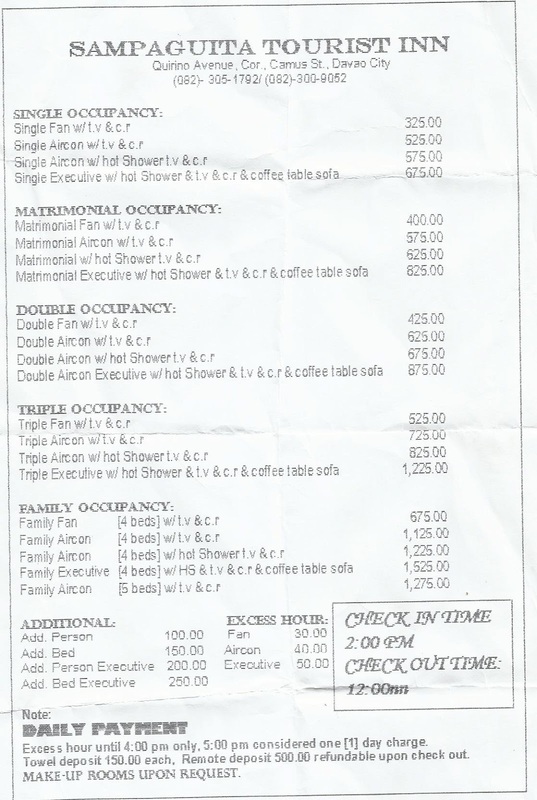 Davao has a lot of cheap accommodations to stay. Below are some of the affordable places to stay in the City. 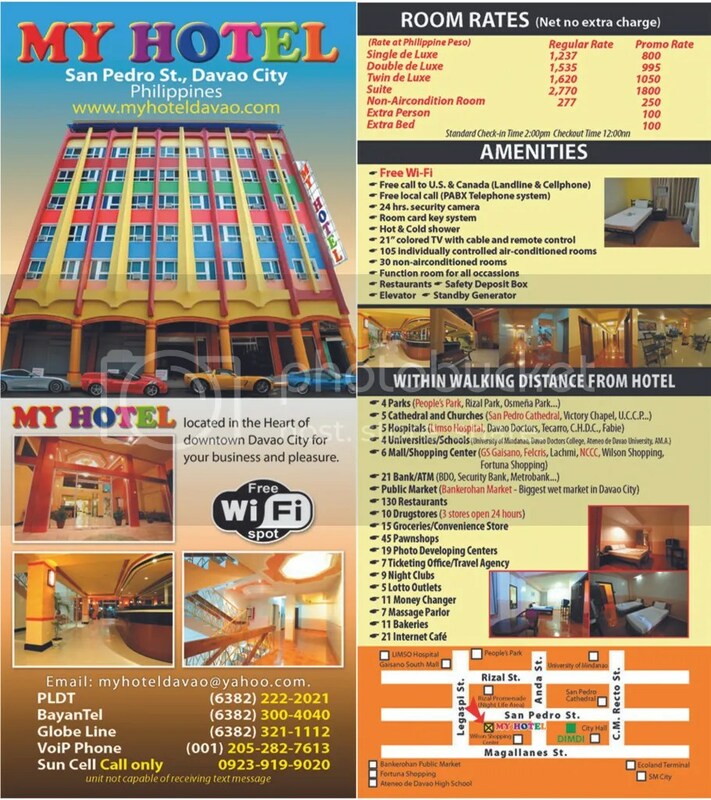 Located at CM Recto St., Davao City, Hotel Uno is ideal for business and leisure travellers who are on a budget. Room rates start at P250 for non-airconditioned room and P650 for air-conditioned room. Check room rates and book. Yes, D’ Morvie Suites has just opened a new branch in the heart of Davao City. It is located in CM Recto (Claveria) St., Davao City. Rate starts at P250 for 12 hours. This hostel is ideal for backpackers who travel light. Located at Mt. Apo St., corner Quirino Avenue Davao City. Sampaguita Tourist Inn is one of the most affordable place to stay in the city. See below for their room rates. Located at Rizal St., Davao City, Majid’s Kebab offers a taste of Persia in Davao City. A must-try here is their Beef Kebab, Cholo Kebab and Chicken Biryani. There is nothing fancy about this restaurant (non-airconditioned). Located at 146 Monteverde St, corner Alverez St, Davao City (across Davao Central Fire Station). It offers very affordable and tasty food that will satisfy your gastronomic cravings. Lachi’s restaurant is located at Ruby St., Marfori Heights Davao City. 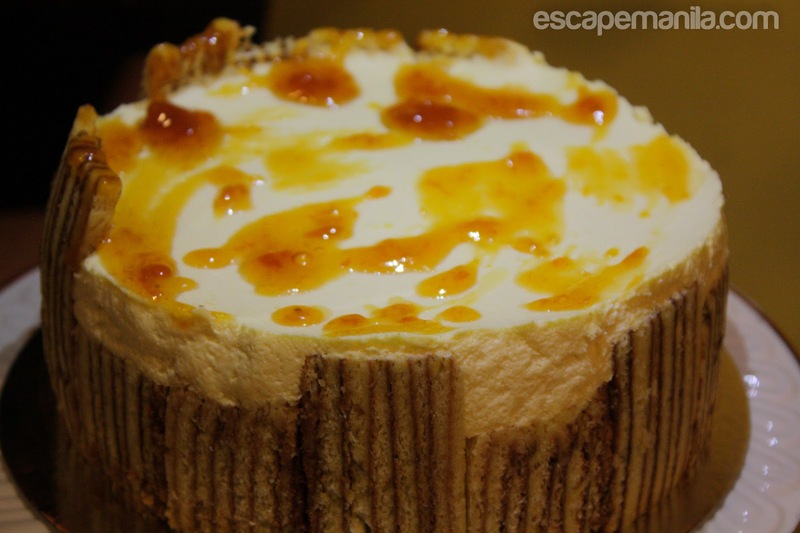 A visit to Davao City is not complete without tasting their famous Sans Rival and other pastries and desserts. Punong restaurant is one of the most famous restaurant in Bincungan, Tagum City. 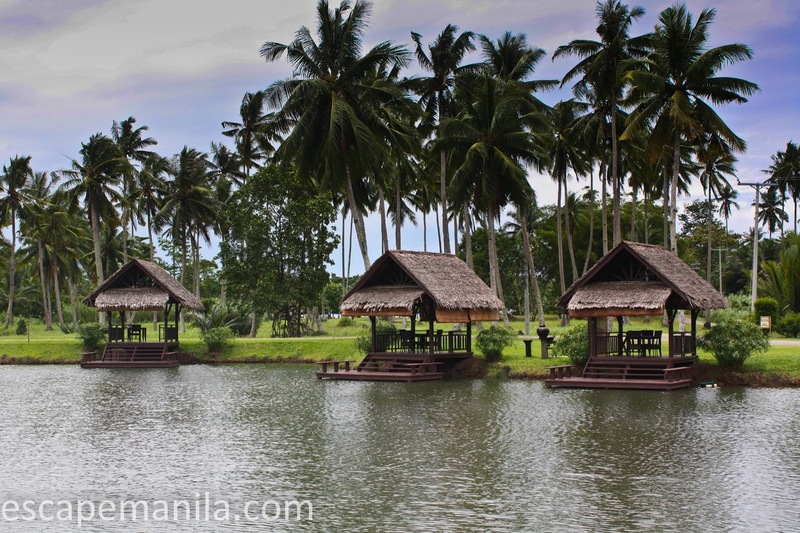 It is located along the Maharlika highway and is about 1.5 hours away from the Davao City Airport. It offers a variety of food and drinks that you will surely enjoy. 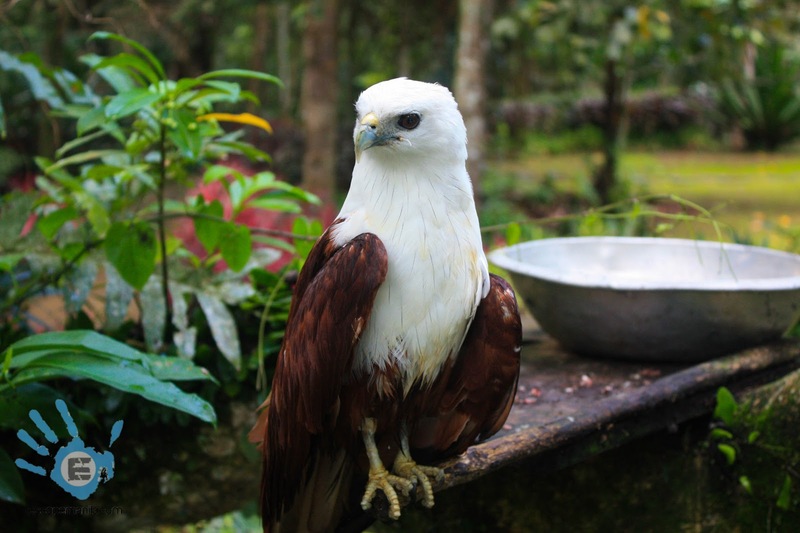 A visit to the city is not complete without seeing the Philippine’s national bird – the Philippine Eagle. It is located in Calinan, Davao City. Click here to know how to get there. Close to the Philippine Eagle Center is the Malagos Garden Resort where you can find a variety of orchids grown in the resort. Eden Nature Park is a mountain resort located in Toril, Davao City. It is 95% man-made and an ideal place to relax, refresh and be closer to Narure. Davao city has one of the largest Chinatown in the country. 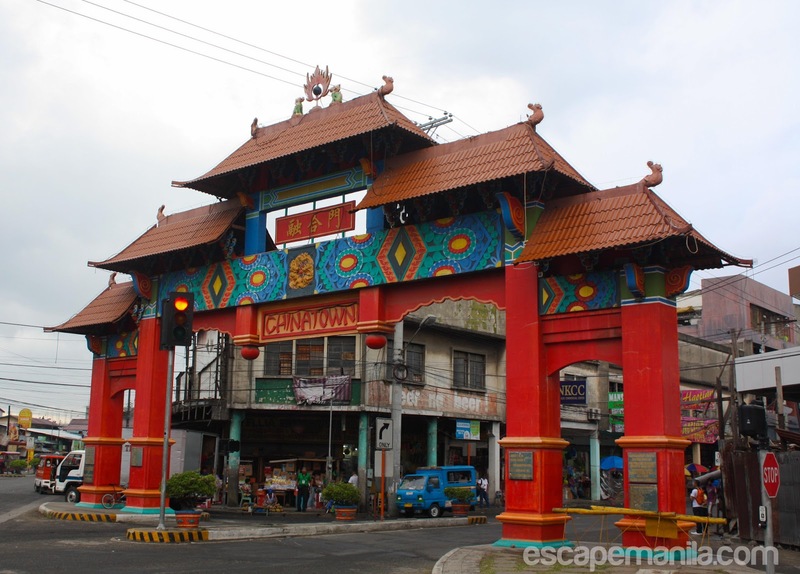 Visit the four arches of the City’s Chinatown ( The arch of Peace, Prosperity, Friendship and Unity). Also pay a visit to Lon Wa Buddhist Temple, People’s Park and Davao Museum. The Crododile Park is one of the most visited tourist attractions in the city. It showcases a state of the art crocodile farming system in the country. It also boasts of its exotic animal species such as raptors, monkeys, bear cats, snakes and other reptiles. 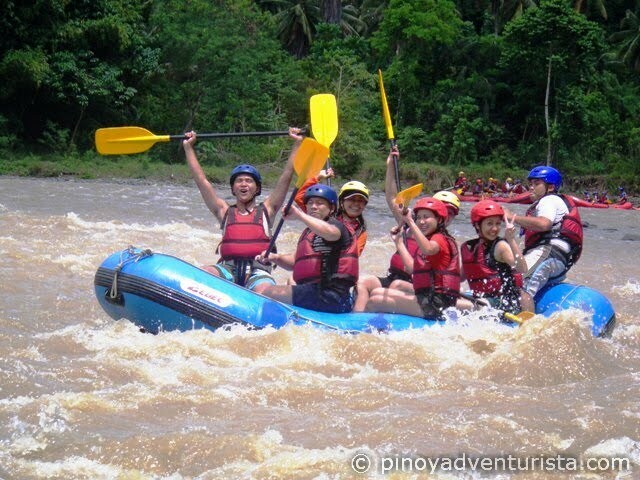 Davao Wildwater Adventure offers an opportunity for tourists to experience the fun ride into the mighty Davao River. 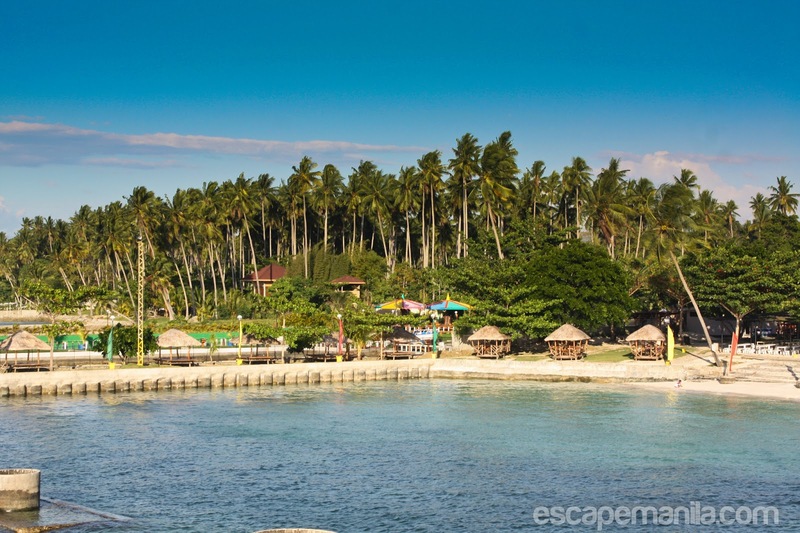 There are a lot of fun activities to do in the Island Garden City of Samal (IGACOS). Pristine white sand beaches are scattered all over the city like the Pearl Farm Beach Resort, Bluejaz, Isla Reta and a lot more. It is also home to the Monfort Bat Cave, the Hagimit Falls and the Vanishing Island. 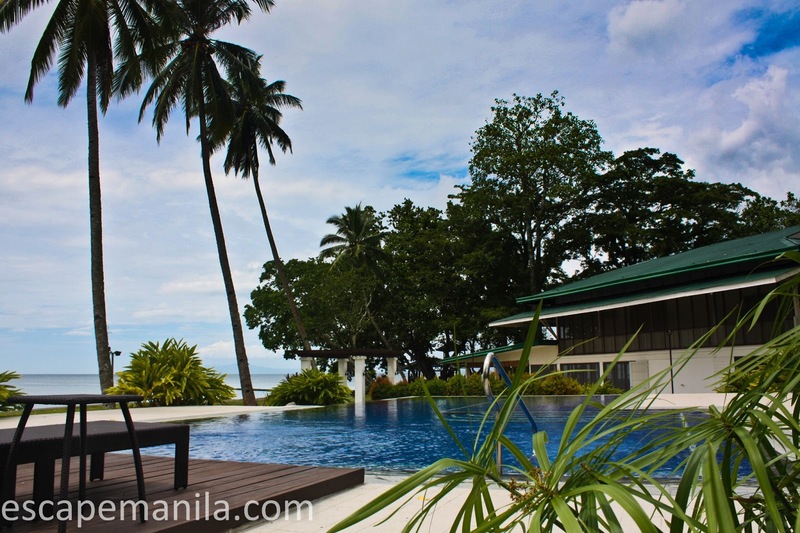 Banana Beach Resort is one of Hijo Plantations signature property. It offers a wide variety of both land and water activities for guests to enjoy. Check rates and availability. The Davao region has a lot of tourist destinations to explore. Above just covered Davao City and the nearby and my hometown province of Davao del Norte. Here’s the official video of DOT Region XI to give you a glimpse of what Davao Region can offer in terms of tourism. From “Islands to Highlands”. The Davao International Airport is the principal link of the city to the other major cities in the Philippines. Daily flights from and to Cebu and Manila are available on Cebu Pacific and Philippine Airlines. Limited flights on the same arline to some other destinations like Zamboanga, Cagayan de Oro City, Iloilo, Puerto Princesa and Kalibo. Philtranco buses have daily schedule to and from Manila passing through the Maharlika Highway. Jeepneys and taxis are the most common transportation while in the City. Buses have regular trips to the rest of Mindanao.The Davao City Integrated Terminal is located in Ecoland near SM City Davao. If you are going Northbound, you can opt to go to NCCC Mall to catch the buses going north (Mati, Butuan, Tagum, Surigao). For Southbound, it is advisable to go to the Ecoland Bus terminal. Van Terminals to other points in Mindanao are also available in most shopping malls. Hot Tip: If you are using a smart SIM you can call another Smart number nationwide for only P1 per minute. Just dial *1000 + the 10 digit mobile number. This offer from Smart Communications is only valid in Mindanao. Good Morning / Afternoon / Evening : Maayong buntag / hapon /gabii. Can you help me: Pwede mangayo ug tabang? Can I get a discount? : Pwede makahangyo? Excuse me. : Excuse me. Thank you. : Daghang salamat. What is this / that? : Unsa ni / na? How do I get to (name of place)? : Unsaon ag adto sa? (name of place)? How far is (name of place) : Unsa kalayo ang (name of place)? This is delicious! : Lami ni! I love you. : Gihigugma ta ka. Bye, see you soon. : Adto sa ko, hangtod sa sunod. I don’t understand : Wala ko kasabot. This is beautiful blog. Thanks for share this blog. Great article… now i have some options where to stay in davao… Will try those hotels that offers less than 1K a night… Sulit!!! Looking for a cheap but luxurious hotel ? Check in at The Apo View today and experience the life of luxury without burning a whole in your pocket! With its world renown reputation, the Apo View is the one place you shouldn't miss while in Davao! try frances inn near davao city's public bus terminal. their place is truly worth it for a 750php rate. very clean, cozy, scented, spacious, got nice attendants and an accessible place because it's just along the highway..not to mention that it is so near SM city Davao.